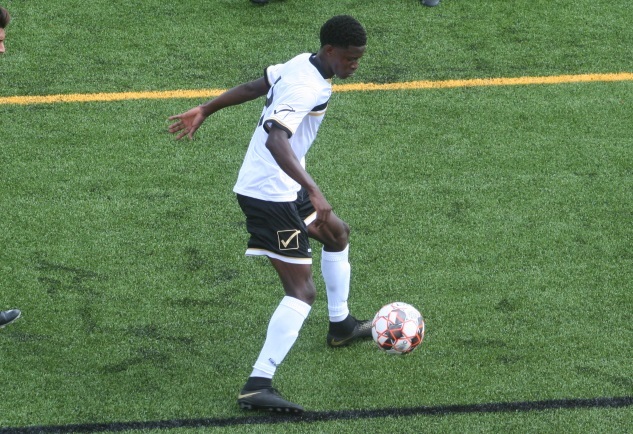 WARWICK, Rhode Island – Freshman Isaiah Lee scored two goals and assisted on the other as the MCC men’s soccer team scored three unanswered in the second half to defeat the Community College of Rhode Island 3-0 Saturday afternoon. Lee broke a scoreless tie by converting a penalty kick in the 62nd minute for the eventual game-winner. He then assisted on Cameron Welling‘s goal just 27 seconds later as Monroe took command. It was Welling’s second goal of the season, and third straight contest registering a point.